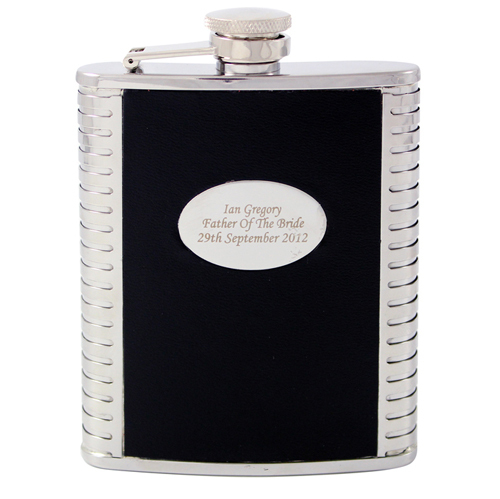 This steel and black leather hip flask can be personalised with any message over three lines of 20 characters per line. This Hip Flask comes with a funnel and gift box. Personalise with any message over three lines of 20 characters per line.